I bet that I can predict your tolerance for risk with your investments by analyzing one simple trait. What is your risk tolerance? Do you like buying individual stocks? Do you like gambling on the hottest stocks or like to chase the fastest growing mutual funds for the past year? Do you dollar cost average your investments? Or, do you invest too much in government bonds for your age? I bet I can tell by one little factor of your life. How you drive your car is a direct reflection on your life and personality, and it is thereby a direct reflection to your tolerance for risk with respect to your investments. Do you routinely drive in your most relaxed state with your hands firmly at the ten and two o’clock positions on the steering wheel? Your mom would be so proud. You still drive like you were taught. You drive like you did when you had a DMV worker riding right next to you on your driver’s test. 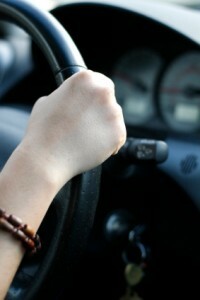 But, driving with your hands at the ten and two o’clock positions can also mean that you are very conservative. Conservative drivers are more inclined to invest conservatively too, maybe too conservatively for your age. These drivers and investors may take the path of least resistance. They may still be invested in the same asset allocation they had decades ago because they have not bothered to change it. Or, maybe these investors have too much of their portfolio in bonds stifling their portfolio’s growth. This of course is the loose and fast hand positions for driving, and this would suggest that you are also potentially reckless with your investments. A person who drives like this is most likely to dabble in options and Forex trading. This kind of investor most likely chases the hottest stock and pours money into the most popular mutual funds. Maybe this type of driver has too much of his or her portfolio in stocks and very little in bonds. If you drive with your seat tilted back, left arm out the window, and right hand low at the six o’clock position, you are definitely a laid back driver, and your investments are probably laid back as well. My boy, J Money, over at BudgetsAreSexy drives like this and calls it his “baller” driving style. With this driving and investing style, the up and down swings of the market probably does not bother you. You know that you are investing for the long term. This type of investor is most likely to dollar cost average his or her investments or systematically purchase shares of stock or a mutual fund. Conversely, this type of driver may not pay enough attention to his portfolio either. There is a fine line between calm, collected, level-headed and oblivious. Okay, I Drive Poorly…So, What? Knowing that you are more likely to behave recklessly will help you identify and potentially curb your wild ways both in driving and with investing. Inversely, if you are too conservative for your investing goals, you can make the changes now before it is too late. The hard part is realizing the way you behave. We all spend so much time looking at other people and their behavior, but we seldom look at our own actions in the mirror or even know what to look for. Your driving habits are a great clue into the inner workings of your psyche and can tell you a lot about your investing style as well. Okay, I have made some generalizations, but I am willing the bet that they are true 95% of the time. If you play it fast and loose in the stock market, then you probably do so with your driving as well. Knowing your proclivities in your driving tells volumes about your life and the choices you make. It also tells the tale of your investing style as well. Knowing how you behave is half of the battle. It is what you do with that knowledge that will help define your future investing success. Will you continue driving and investing recklessly as you get older? I hope not. Like GI Joe used to always say, “Knowing is half the battle.” And, now you know.